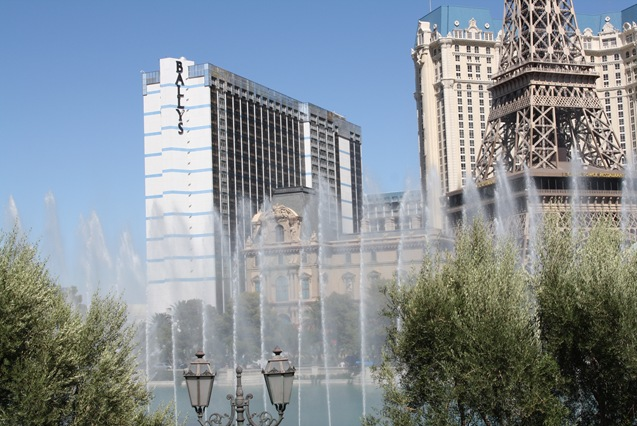 You are here: Home / Travel / Vegas On A Budget! My AWESOME assistant, Michaela, brings y’all great deals all the time here on the site – she is truly my right hand and I don’t know what I ever did without her! My husband I recently took a much needed vacation to Las Vegas, NV for NINE days! That’s right, I said 9 days! My husband is the sole provider for our family of 2 and many people asked us if we were able to take such a vacation on only one income. I was a little skeptical about it until I did more research and found out with the help of travel deal websites and coupons we would be able to do just about whatever we wanted. My first big concern was airfare. We live in Texas and as much as I want to drive, my husband said I will meet you there, I’m not going to be in a car for 24 hours. So I went to the usual sites we use, Priceline, Orbitz, Expedia, and even Southwest. 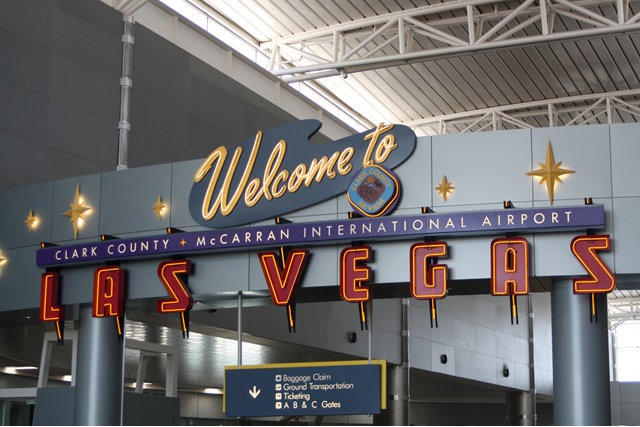 They were all way too high and so I ventured to the airlines I knew flew directly to Vegas. 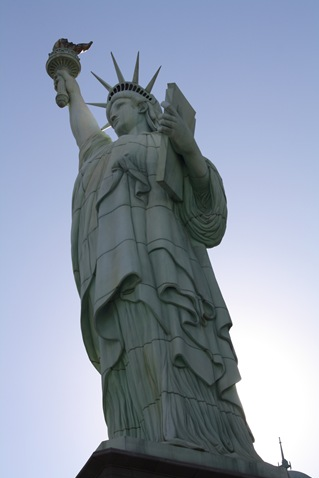 We ended up booking with American Airlines for about $100 less than anywhere else. My advice to anyone flying, if you know your travel dates, go ahead and book it early, check all your options, and then book it right away. (Closer to our travel dates, I checked the rates again because I was curious, they had almost tripled!) Usually the best rates are 2 to 3 months out. Next biggest decision, where to stay while we are there. 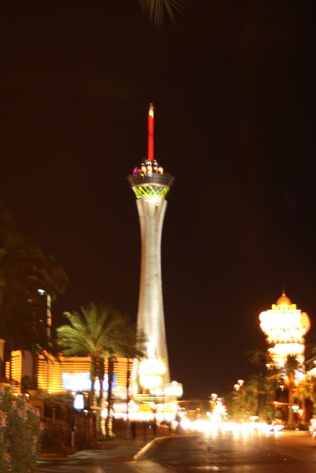 We have been to Vegas before and we stayed at The Stratosphere, which was a good hotel for a good price, but is about a mile away from everything else on the strip. This time we wanted to stay mid strip, but didn’t want to spend too much. We found a website Easy Click Travel and was able to stay at the Imperial Palace for under $300 for our entire stay. My computer savy husband found a discount code too, so that helped. We debated about renting a car, but decided not to because of the deposit that all the car rental companies required. We wanted to have more money in our pockets to spend. If you do not rent a car, get a shuttle to and from the airport. It’s only $13 roundtrip and will save you alot on taxis. Also check out the bus that goes from one end of the strip to even downtown. $7 for 24. Stay clear of the monorail, it’s too pricey, $5 one way. Some people think that food is the biggest expense when traveling, and it can be if you let it. Before traveling, I went to Las Vegas Leisure Guide and printed out all the dining coupons for the trip. We ate at Rock and Rita’s In Circus Circus, and it reminded me of good home cooked food. I had the meatloaf and Rob had the brisket. Large portions and excellent service. Good thing we had the coupons, because dinner plates were $15 or more, but we had a B1G1 FREE coupon which made our meal about $15 plus tip! We also ate a Kahunaville in Treasure Island for lunch. We used the $7.50 coupon and got a bacon chicken wrap and Rob had the sandwich sampler which he said was great! Again another meal under $25! Inside the Flamingo hotel is a pizza place that sells a huge, I mean huge slice of pizza and a soda for $5.99. It’s a great snack or meal on the go. One of the most important things to remember is that sodas, tea, and bottled water cost $4 everywhere you eat. If you can, just drink tap water, its filtered at all the restaurants. On the topic of water, make sure that if you go during the hot months to stay hydrated while walking around. There are several ABC stores on the strip and in the malls and they sell a liter of Nestle water for only $0.99! (It’s also a good place to get CHEAP souvenirs!) If you’re outside, there are street venders that sell bottled water and gatorade too. A must see is the Freemont Street Experience downtown. It’s a great place to spend your evening. There are also some great dining deals there too. For a quick snack check out the snack bar at The Mermaid Casino for $1 Nathan’s Famous hot dog. 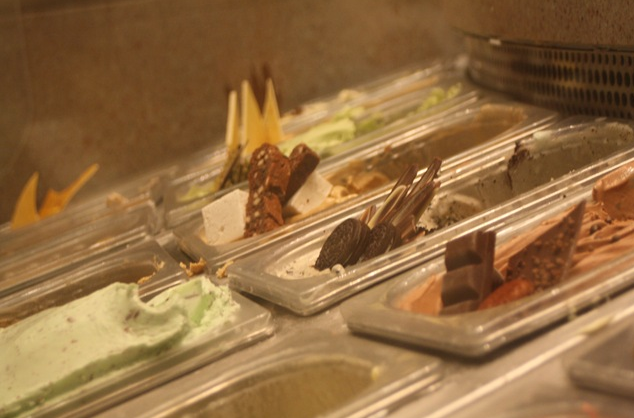 Our favorite thing to eat in Vegas is gelato! Mmmmmm… The pictures above are from the only place we get gelato while we are there. 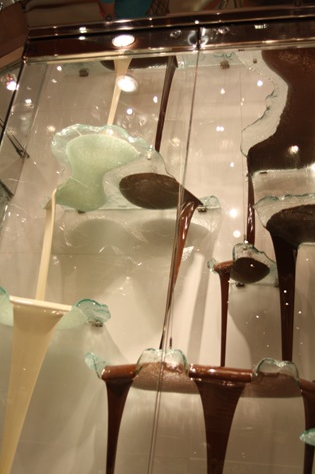 It’s inside the Bellagio hotel and also has the world’s largest chocolate fountain. It’s great and is no more expensive then the gelato at home. If you get hungry and nothing is open, oh..wait..there’s a McDonald’s on both ends of the strip and most hotels have food courts that stay open all night. Sharing meals can help out too. Most of the time, the portions are big enough to feed 2 people and is just the right amount to eat before you head outside to walk around. 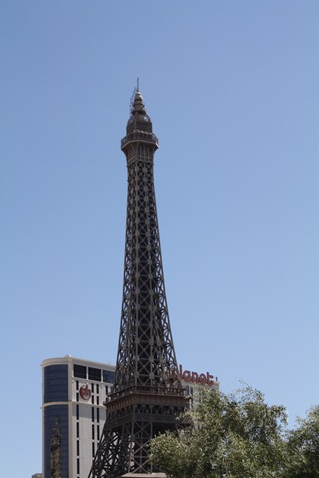 A must to remember is that Las Vegas is not for children or anyone under the age of 21. They are unable to go to most of the shows, I can probably count on 1 hand the shows that permit under the age of 18 in. Before going, I printed several coupons from Las Vegas Leisure Guide for shows. I got a 4 FREE tickets to Nathan Burton, magic show. We were able to get 2 upgraded tickets for only $20 total and see the show. It was good and there were great illusions. He was a contestant from America’s Got Talent. From just attending that show, we were given the opportunity to see Diva’s, men dressed as female impersonators (it was a good show) and Jeff Civillico, a juggler/variety act (also a contestant on AGT) at a discount rate. I went and saw Diva’s for $15, normally $95, and Rob and I went to Jeff Civillico for $12 each! We also got to see FREE live shows a Circus Circus from the circus performers. At Treasure Island, there is a live show outside every night. In the Forum Shops at Caesar’s Palace there is a show and aquarium. Walking through all the hotels and casinos can be entertainment enough. There is such beautiful architecture and design put into every inch of Vegas. 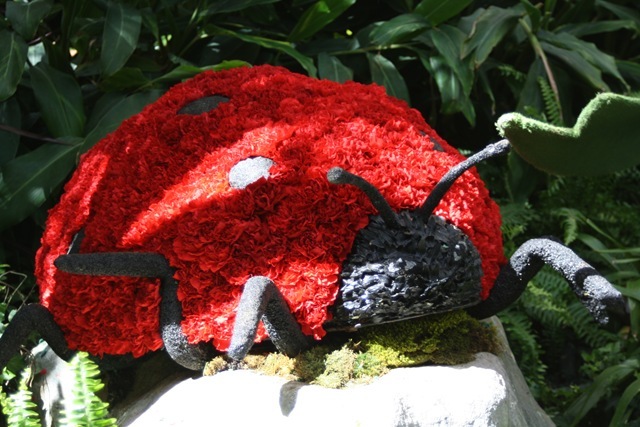 A couple FREE things to do in Vegas is to see the fountains at the Bellagio, the conservatory at the Bellagio. The lions at the MGM have been retired and are no longer on display. The Flamingo has a wildlife habitat that is FREE too. We went to the M&M world, which was neat and got to watch a FREE 3D show. It’s also fun to go through the Coca-Cola store. Our hotel had what they call dealertainers, which are dealers impersonating celebrities. They sing all night long and it’s great fun to just watch. A few last minute tips is that if you are going to gamble, know when to stop. Set up a budget before you go and stick with it. It really helps. Rob and I took cash only, and had a daily budget for food and entertainment. Once that was gone, we did not charge or withdraw anything else. Always tip the casino waitress and the bell hop, even if it’s only $1. These people live and work in Vegas and have families too. Remember to save where you can when you can and hopefully you will have just as much fun as Rob and I had! I also went to Vegas.com, smartervegas.com, and vegas4locals.com!